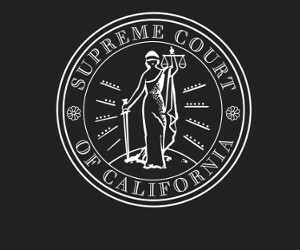 The Supreme Court of California appointed Attorneys Mark A. Broughton and Alan K. Steinbrecher to the State Bar Board of Trustees for three-year terms, beginning October 2, 2016 and ending at the conclusion of the annual board meeting in 2019. Mr. Broughton is a criminal defense attorney and partner at Hammerschmidt Broughton Law Corporation in Fresno County. Before establishing his own firm, he was the chief criminal defense attorney for a mid-sized criminal defense law firm for 15 years. Mr. Broughton is an active member of the Fresno County Bar Association and currently serves as co-chair of the Criminal Law Section. In addition to his bar association activities, Mr. Broughton has worked with the Northern California Innocence Project, a non-profit organization that promotes a fair and compassionate criminal justice system and challenges wrongful convictions. Mr. Broughton received his Juris Doctor degree from Western State University College of Law and a Bachelor of Arts degree in sociology from University of California, San Diego. Mr. Steinbrecher is a litigator and partner at Steinbrecher & Span, LLP, who specializes in business, product liability, and aviation litigation. Over the course of his 30-year career, Mr. Steinbrecher has been the lead attorney for several federal and state court jury trials. He has also served as president of the Los Angeles County Bar Association and chair of its Litigation Section and Armed Forces Committee. Before pursuing a law career, Mr. Steinbrecher served in the U.S. Navy as a fighter pilot during the Vietnam War. He later retired as a captain from the United States Naval Reserves. Mr. Steinbrecher is an alumnus of University of North Carolina at Chapel Hill and Duke University School of Law. The seven-member State Bar Trustees Nominating Committee assisted the Supreme Court in selecting its appointee to the State Bar Board of Trustees. The work of the committee is governed by Rule 9.90 of the California Rules of Court, which describes the factors to be considered in soliciting, reviewing, and recommending to the court potential appointees to the board, as well as the general operation of the committee. The State Bar Board of Trustees consists of 19 members: five attorney members appointed by the Supreme Court; six attorney members elected from State Bar Districts based on the six Court of Appeal districts; two attorney members appointed by the Legislature, of which one is appointed by the Senate Committee on Rules, and one by the Speaker of the Assembly; and six “public” or non-lawyer members, of which four are appointed by the governor, one by the Senate Committee on Rules and one by the Speaker of the Assembly.